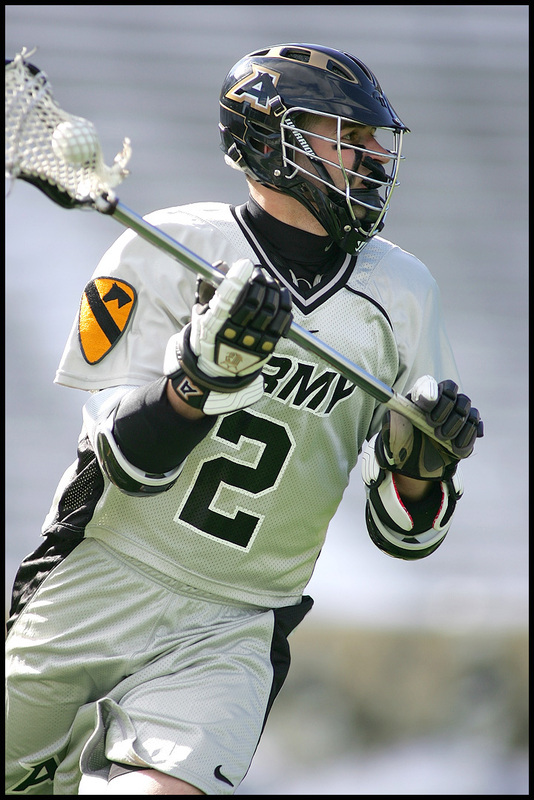 I shot Army’s lacrosse season opener last weekend at a snow-filled Michie Stadium in West Point. 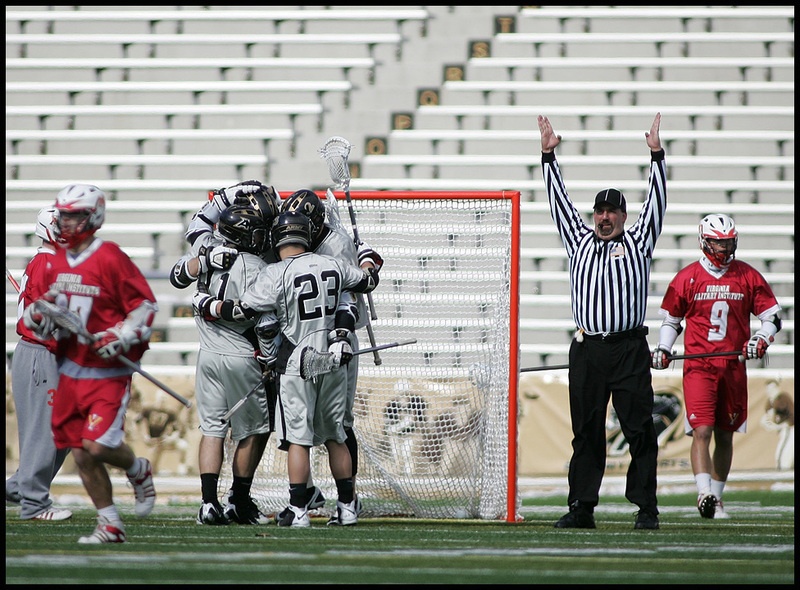 Army beat Virginia Military Institute (VMI) 11-9 on a chilly but pretty nice, sunny day. 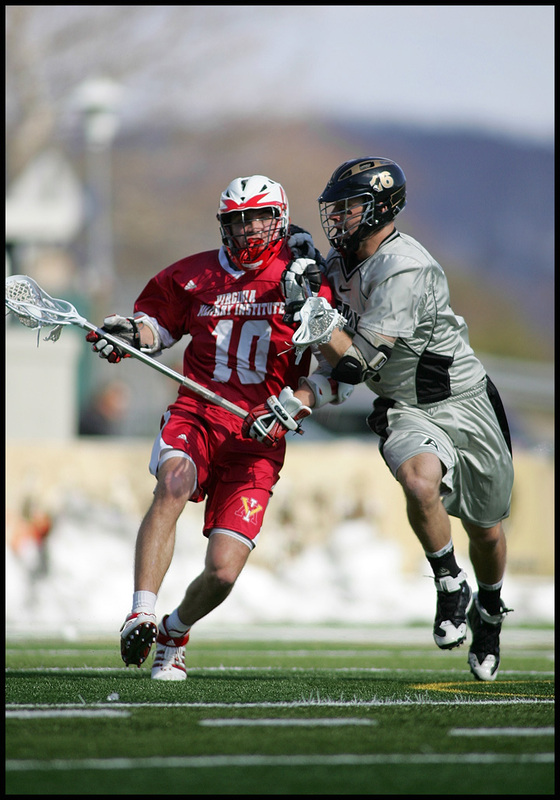 I wasn’t sure what to expect with Army LAX in terms of fans or what the game would be like. I figured the team would come out from one corner and actually spotted them through a snow-filled entrance making their way around. I grabbed my fisheye lens and backed up, shooting, as they took the field with a huge American flag. Army used the photo in their game story. I began the game sitting behind Army’s goal with some beautiful bright sunlight at my back, but unfortunately most of the action was on the other end of the field. I finally picked up and walked down to the other side. I shot most of this game around ISO 125, which is fairly unheard of for sports, but if I can swing it, I do it. I actually shot my first Army football game back in September against Ball State, at times, at ISO 50. 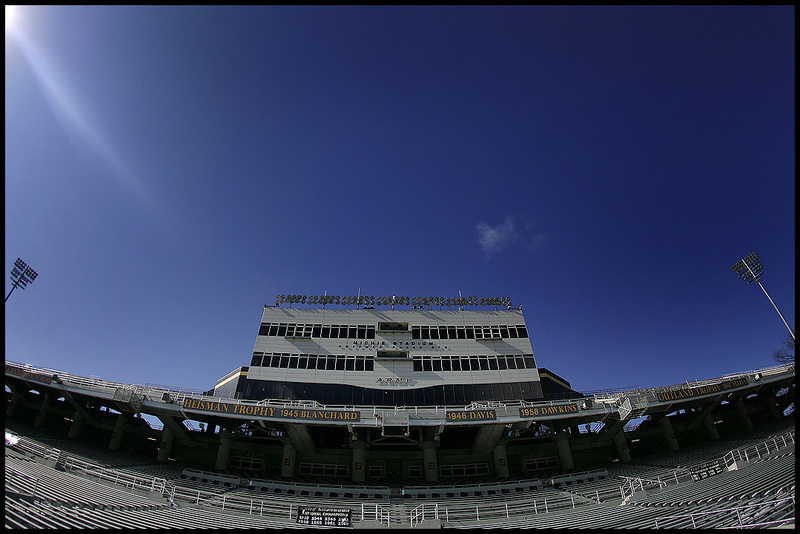 Michie is good for some nice golden sunlight from the south end of the field. One strange thing was, despite the cold, windy weather, the field had those weird heat waves radiating from the turf. I guess direct sunlight can cause that — it looks cool to see but when shooting with a long lens, it ruins your focus and sharpness… nothing you can do about it unless you move closer. Apparently they don’t even open up much of the seating bowl to fans for lacrosse games, which translates into a sea of grey bleachers as the backgrounds to most of my photos. Sometimes it looked cool, sometimes it just looked like a ton of steel lines. 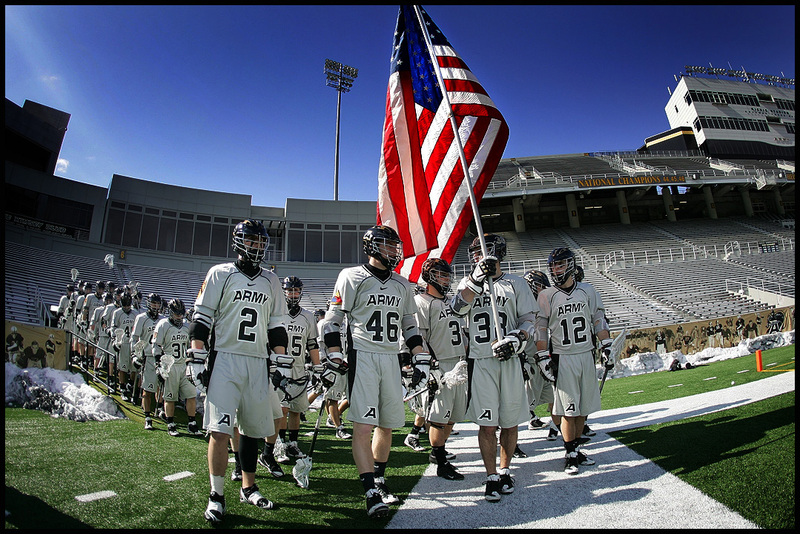 The lacrosse team, like the football squad, wears U.S. Army division patches on their jerseys for games. 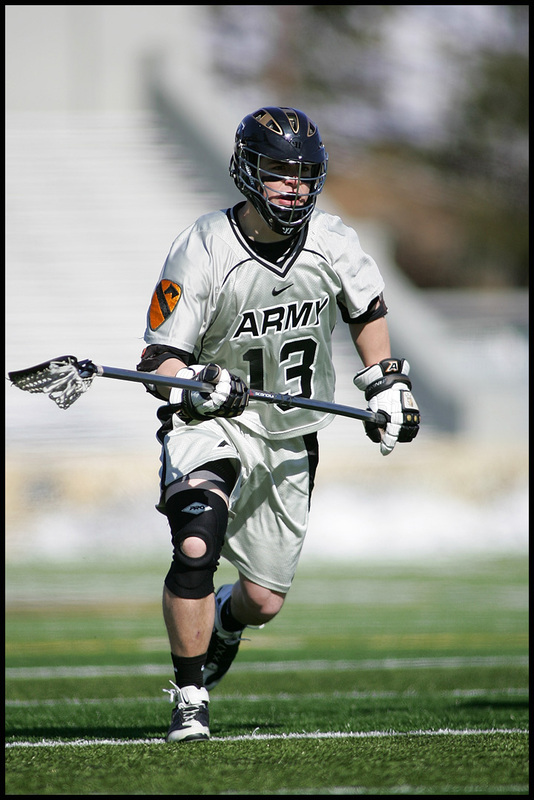 A few players, including Jeremy Boltus (above) sported the 1st Cavalry Division. Army used this shot in a recent story. Totally unrelated: Joannie Rochette is one of the most inspirational, incredible athletes I’ve ever seen. Unbelievable and I am so happy and proud for what she’s accomplished in Vancouver this week.